At My Surgical Specialist, our experts specialise in treating rare tumours of the stomach and gastrointestinal tract including Gastro-Intestinal Stromal Tumours (GISTs). Mr Alkhaffaf will ensure that you receive the most up-to-date and comprehensive treatment, personalised to your situation. Both he and his team will take the time to answer all your questions and help you make the right decisions about your care. Q: What is a Gastro-Intestinal Stromal Tumour (GIST)? 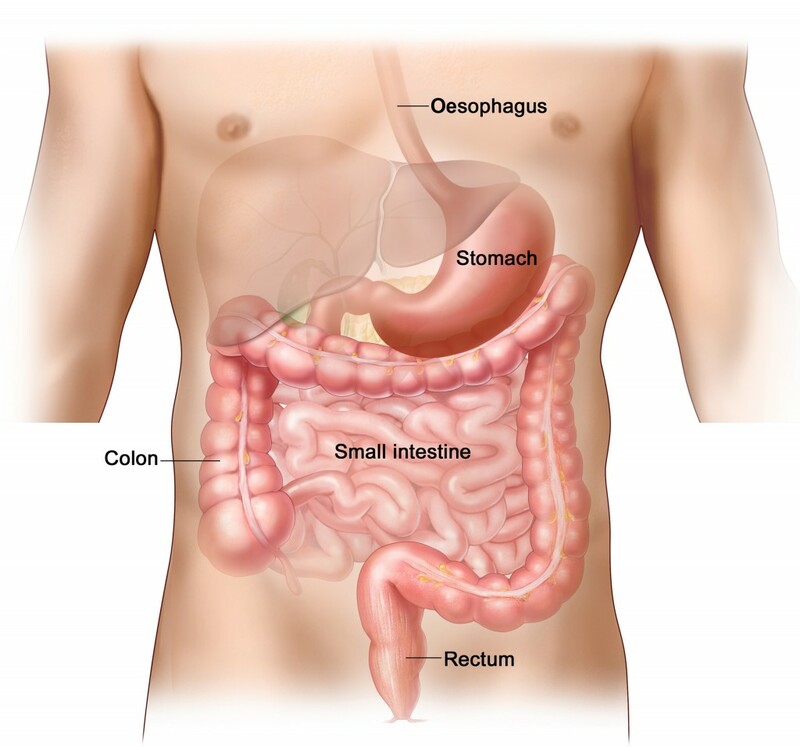 This is an abnormal growth or tumour which can occur anywhere in the digestive system. It most commonly occurs in the stomach, but can be found anywhere along the gastrointestinal tract such as the oesophagus (gullet/food-pipe) and the small intestines (bowel). Q: How Common are GISTs? GISTs are rare; approximately 900 new cases are diagnosed each year in the UK. GISTs are slightly more common in men and can be diagnosed at any age, however most patients are between the ages of 50-60. -Abdominal pain (in up to 1/2 of all patients). -Bleeding in the gastrointestinal tract (in up to 1/2 of all patients) causing tiredness, vomiting blood or passing blood from the back passage. -Blockages (obstruction) of the stomach or bowel. Around 1 in 5 patients have no symptoms at all. In these patients GISTs are found incidentally when investigating unrelated conditions. Only in recent years have we begun to understand how GISTs form. We know that most GISTs occur due to a genetic abnormality which occurs where the GIST grows. We do not yet know how or why this genetic abnormality occurs. The vast majority of these genetic abnormalities happen sporadically; in other words, they occur spontaneously and are not inherited through family. Prognosis depends on the type of GIST you have. GISTs are unusual tumours in that they can be entirely harmless (benign), cancer-like (malignant) or somewhere in between. The concern with GISTs is that they may be of the malignant type. Confirming which type of GIST you have can only occur once it is removed and examined under a microscope. We know that the larger the GIST, the more likely it is to be of the malignant type. Your consultant surgeon will talk to you about the type of GIST you have in detail and will ensure that you are given the correct information specific to your particular situation. Q: How Are GISTs Treated? Treatment of GISTs usually involves an operation to remove the tumour. This can often be undertaken using laparoscopic (keyhole) surgery. Mr Alkhaffaf will talk to you about the right treatment for you. He will walk you through the entire process so that you can make the right decisions about your treatment.